Khalistan: Origins of a Nation is a brand new web-series that will explore Sikh sovereignty and it's relationship to modern day Khalistan. One of the largest NSYF projects to date, the ‘Candle in the Dark’ exhibition was custom designed to explore the narrative of Sikh history and ideology, viewed through the lens of the political and spiritual teachings of the Guru. 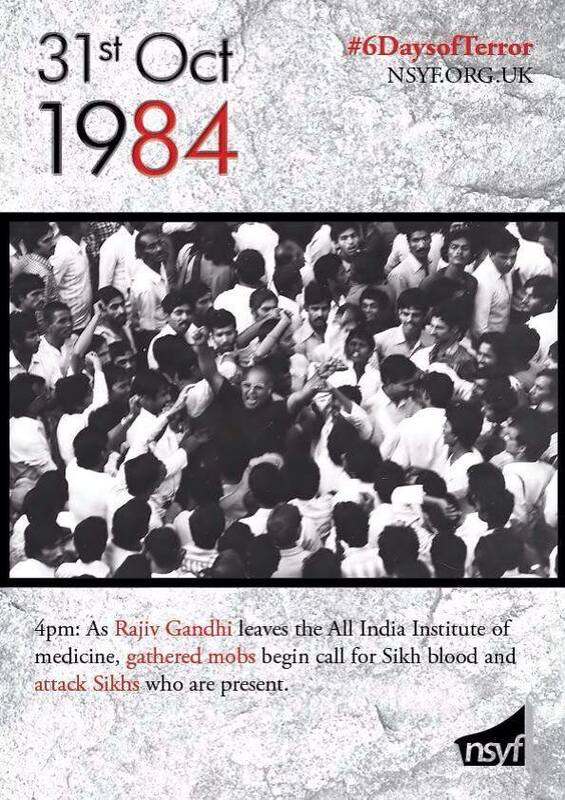 It showcased the events that led up to the 1984 Sikh Genocide in a never before seen light, highlighting the way in which Sikhs have challenged social injustice and tyranny throughout most of their short existence. Since the beginning of our history and till the current day the Sikh experience has been defined by the activism of great individuals. Inspired by the teaching and example of the Guru, Sikh activism has forever altered the dynamics of South Asia and indeed the world. Join us as we explore the narrative of Sikh activism through the lens of ਸੱਚ (truth) and ਹੱਕ (rights) and be inspired to continue the Sikh legacy. We began our year with the lunch of the #10DaysofTerror campaign in June 2012 that reached well over 500,000 people via social media. This campaign was concluded with an information pack of which 5000 copies were distributed at the annual remembrance rally in Hyde Park. Following the impact of the 10 Days of Terror Campaign, we used the power of social media to again inform the masses on the events that took place after the assignation of Indira Gandhi.